Blaze through 18 action-packed levels! 18 levels filled with tricky obstacles, powerups and destroyable objects. Race across the dunes of mars! Leverages the power of Flash 11 to deliver stunning hardware accelerated 3D graphics. Sequel to Jet Velocity, now with weapons, laps and more level themes. You play a giraffe who need to defend his cheese from invading koalas. Move boxes, dodge lasers, fetch cake! [PLAY NOW! ]Play RIFT! you know you want to! Use the arrow keys, ingame tutorial available. Players can create and administer clans. Team games and 8 player games. Customizable player badges and tanks. Move using the arrow keys or WASD. Shoot the tongue using the mouse. 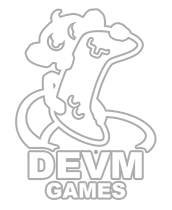 Programming and tech created by devm-games. Game design, graphics and sound created by other parties. Futuristic 3D racing game with procedurally generated levels. Levels are generated based on perlin noise. Addictive, competitive and fun multiplayer artillery game. Eliminate all of the opposing players in each match. Fight the evil bubbles using your super cool bubble popping robot! In a human colony far from earth, war rages on over the rich soil of the only habitable planet. Command your units through hordes of enemies in this action packed RTS game. [PLAY NOW! ]Play Steam of War! Mouse-down on the brick you want to move and then drag in the direction you want to switch, release the mouse button. 3D puzzle game, guide your balls to the goals by tilting the board. More than 60 unique levels! A circular take on the bubble shooter. Web MMO in space, PvP and PvE combat, base building, manufacturing, trading and much more. A 3D action game pushing the limits of flash where the objective is to take out the enemy’s bases.